Martin Colin, P.C. announces a car accident settlement for two passengers injured in a car accident on I-684 in the Town of Bedford, in the County of Westchester. The plaintiffs, residents of Yonkers, New York, were traveling in an automobile northbound on Interstate 684 in winter when their vehicle collided with another vehicle traveling northbound. Icy pavement may have been a contributing factor causing the accident. Plaintiffs felt great pain and required transportation from the accident scene to Northern Westchester Hospital for Emergency Room treatment. Subsequently, the plaintiffs received orthopedic and neurologic care and received physical therapy to assist in their recovery. As soon as we filed the lawsuit, the insurance company initiated settlement discussions, and we obtained a cash settlement for both clients. This favorable resolution of the case provided monetary compensation to both victims without having to proceed to trial. Martin Colin, P.C. handles accident claims, negligence and personal injury cases. 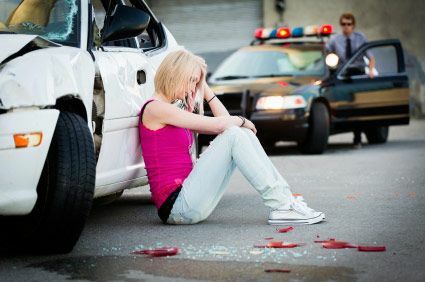 If you have been injured in a motor vehicle accident, such as: hit and run; drunk driving incident; uninsured driver; motorcycle collision or any other car accident; or you have suffered bodily injury due to someone else’s negligence, call the personal injury attorneys at Martin Colin, P.C. In negligence, personal injury and accident cases, we obtain substantial monetary compensation for clients suffering from bodily injuries, pain and suffering, and loss of enjoyment of life. Our lawyers are skilled and experienced in negligence, accident and personal injury cases. We have both the resources and the expertise to handle your bodily injury case. Call us at (914) 771 7711 or email using the ‘Contact Us’ form on this website. We provide a free initial consultation on all accident and injury cases and are only paid in these cases if we win, which means that there is never a fee unless we successfully resolve your case.